Give Today to support the week’s activities. What is the PUSH Offering? PUSH Offering is our chance to celebrate God’s grace through generosity. It’s an opportunity to grow our church accounts instead of deplete them, grow in our personal giving, and follow the Bible’s way of raising funds for special projects. Here’s what we should all do: Pray about becoming a consistent giver, plan what to give, and participate by bringing your offering weekly. 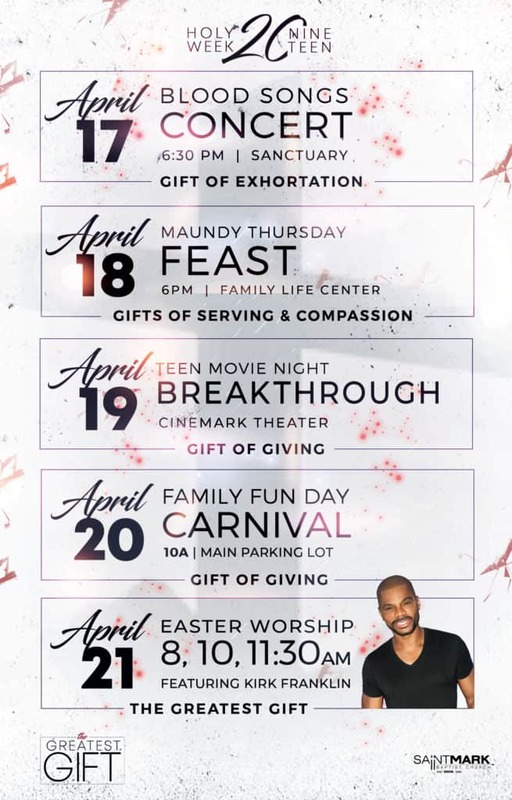 Its time to Celebrate God’s Grace to you by pushing Him to the front of the line in your giving. It’s time to push your giving to the next level. The goal for PUSH Sunday is $150,000. Watch the sermon below for more about the PUSH Offering. • and updating our outdoor directional signage. 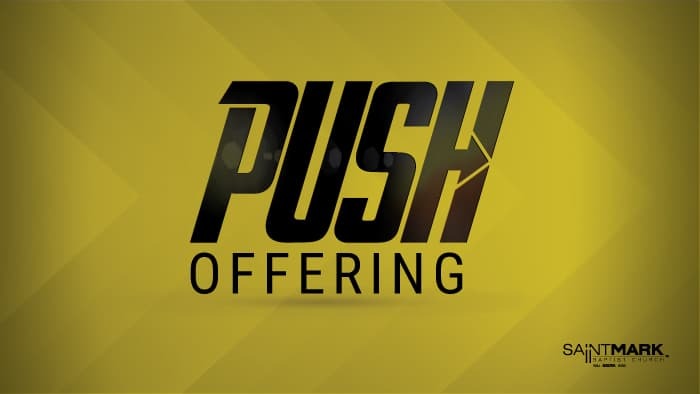 Click HERE to setup your PUSH Offering. Online registrations, access to general church forms, and our calendar are also available in this section of our website for your convenience. In the new window click sign-up. Enter your first and last name. Enter the email address that we most likely have on file. Create a password and re-enter it for confirmation. Then click Create an account. Once you have activated your account you can login and complete your profile. 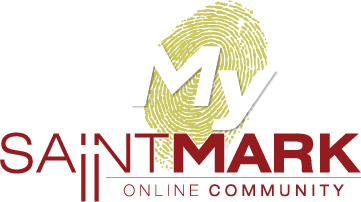 Now that you have access to MySaintMark, you can update your profile. There are two ways you can get to your profile in order to update your information. To update your profile from your home page, simply click on the Your Profile option and you will be taken to your profile overview where you can view your current information or update your profile, privacy settings or change your email and/or password. Remember, you have control over every item listed on your profile using your privacy settings. This is set by the individual and not by the church database. Once you have entered your information, click Save Changes. You can also access the same account information by clicking on the Account option at the top of your screen at any time. This will take you to the same information and update options as the home page. NOTE: Any changes you make to your Profile will affect the information that Saint Mark has on file for you. As a member of a group, you have control over the information Ministry Group Leaders and other Ministry Group Members can view in your profile. There are a couple of ways to get to your privacy settings as shown in the image below. Click Account, then choose Privacy Settings. Click Home and then choose Privacy Settings. Make modifications to your privacy settings by dragging the green slider bars in each field to the left or right to select the user groups you want to have access to your private information. For example, in the Address field with the slider at Everyone, both Group Leaders and Group Members can see your full address. Once you have finished editing your profile, click Save privacy settings. Note: If you are a member of a ministry group, Group Leaders may view your information; however, your information will be hidden from the public and other ministry group members if you restrict your privacy settings. To sign up for online giving click on Giving, and then follow the instructions below. Step 1: If you already have an account, skip to Step 4. If you do not have a login, click Register. Step 2: Enter your first and last name. Enter the email address that we most likely have on file. Create a password and re-enter it for confirmation. Then click Create an account. You will receive an email with a link to confirm your email address. Find the email and click the link to continue. Step 3: Fill in the form with the rest of your information. After completing the form click Save and create account. This will allow us to match your online account with your previously given contributions. If you do not see this form, then the system automatically matched your login info to your current record. Depending on how you logged in you will see one of two screens. If you do not see the two green buttons below, click Your Giving. Step 4: Choose to Give Now or Schedule Giving. Select which fund you want to give to and the amount of your gift. Choose your giving method and enter the corresponding information. When completed, click Continue to go to the confirmation screen. Select which fund you want to give to and the amount of your gift. Click Continue. Select how often you want the contribution to be given and when it should begin. Click Continue. Finally, choose your payment method and enter the corresponding information. Click Continue to go to the confirmation screen. Step 5: Click Process the payment/schedule. 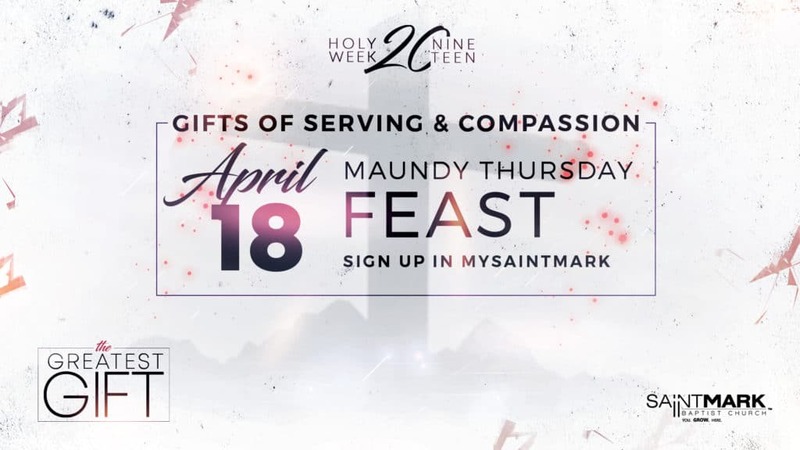 Fill out the form below to volunteer for the Maundy Thursday event. 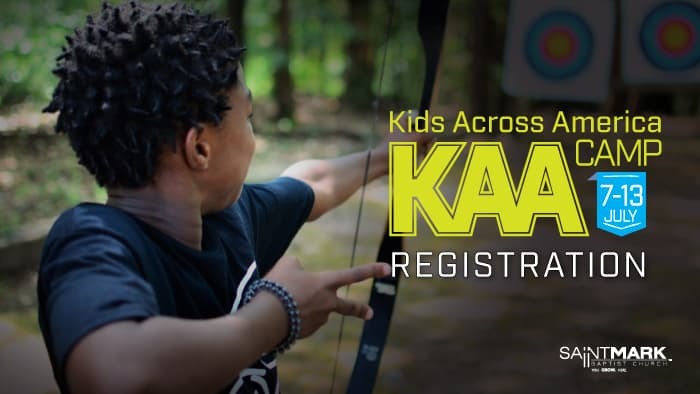 Register your child to day for Kids Across America Camp, July 7-13. Just click the image below to start. The Care Center at Saint Mark will offer free to low cost services to the public beginning in February. The first phase includes health services and employment assistance. Volunteers are needed to assist with check-in and traffic control. The hours of operation will be Monday – Thursday, 10 a.m. – 1 p.m. and 5 p.m. – 7 p.m.
CLICK HERE to Sign up to volunteer with the Care Center. At Saint Mark we believe you grow in learning, serving, and giving. All year we have been learning more about how God has called each of us to Celebrate Grace by going out and communicating the Gospel. This pivotal moment in our ministry will arm you with the knowledge to share with the unsaved what you’ve learned about the Gospel. It will challenge you to invite family, friends, and neighbors to grow with you in the knowledge of the Gospel. And it will mobilize all of us to add one more to the body of Christ in the name of the Gospel. Let’s all become fishers of men! Know that you are called to share the Gospel as you go through your daily life. Go with the intent to get souls saved. God will empower you to share the Gospel when the time is right. Understand that you are not going in your own power, but the power of God. Open yourself up to be used by God to share the Gospel. Pray about opportunities to share the Gospel with others. 1. Everybody is guilty of sin. 2. God loved me so much He sent Jesus as a substitute for my sins. 3. Jesus carried my sins to the cross and died to set me free from sin. 4. Three days later, God raised Him from the dead conquering sin for good. 5. One day, Jesus is coming back again to take me to heaven. Because I believe this, I know my soul is safe for eternity! 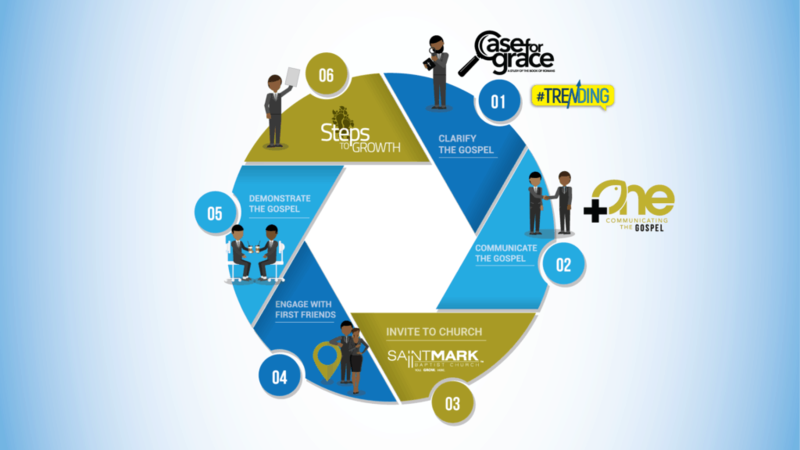 How do you start a conversation about the Gospel? 1. Start with building a relationship with that person. If its family or a friend you already a type of relationship, but if it is a stranger find some common ground for the conversation. 2. Ask probing questions without using the words saved and Jesus. You want to know what they believe without telling them what you want to hear. If they say yes, ask why? And if they respond with ANYTHING BESIDES A BELIEF IN JESUS—They don’t understand the gospel! You have an opportunity to now share it! If they say no, they wouldn’t go to heaven, you can still share the gospel! When your PlusOne wants to know more. 1. 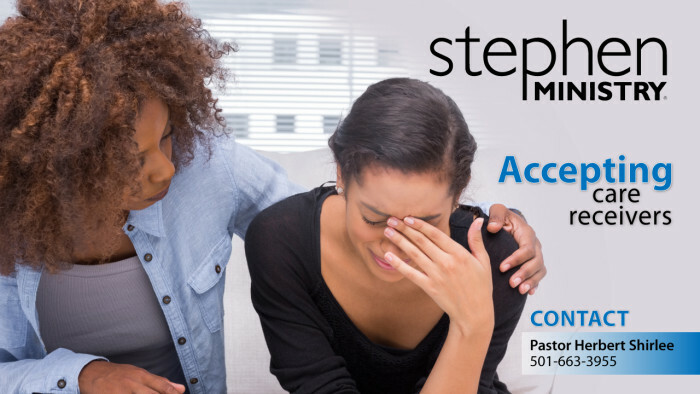 Invite them to Steps to Growth class and contact Pastor Deborah to find out more. 2. 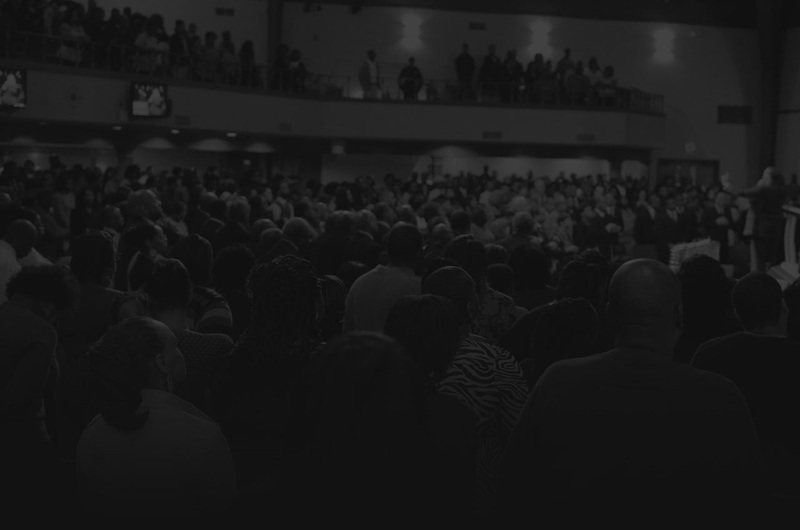 Invite them to attend church with you and register them as your guest. 3. Continue to connect with them on their journey to accepting Christ. Use our Guest Registration Form to let us know you are bringing someone to church so we can help you introduce them to Saint Mark. 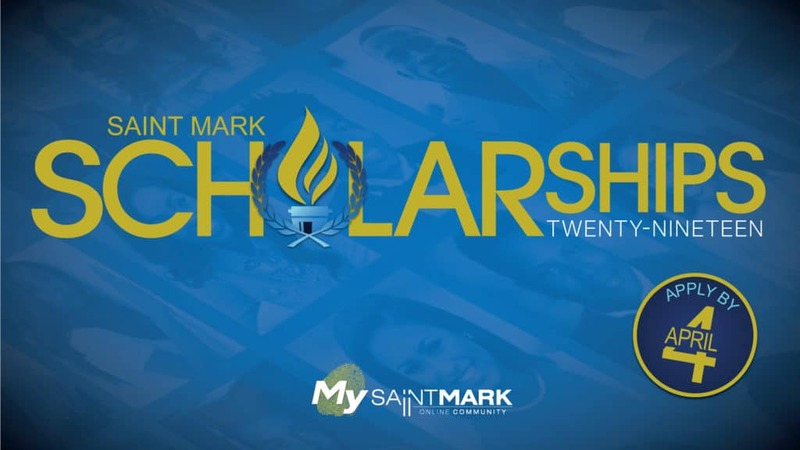 The 2019 Saint Mark Scholarship application period is March 3, 2019 – April 4, 2019. Here is the brochure with more information as you prepare to apply. 1) Download the application first. 2) Use Adobe Acrobat (free) to complete pages 4-6 and then print it out. Don’t have Adobe Acrobat? Download it free here .